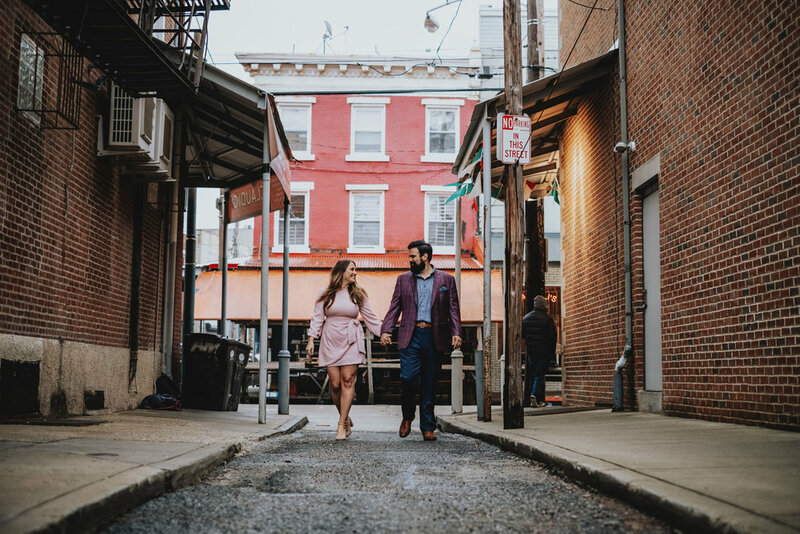 Associate photographer Eric spent a beautiful evening in Philly hanging out with this gorgeous, newly engaged couple, Alyssa and AJ. 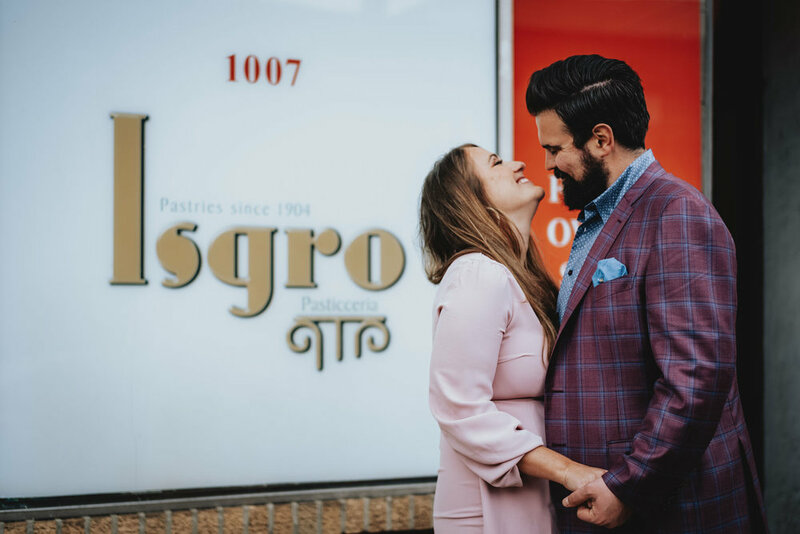 Eric did a phenomenal job capturing some really amazing images, but it is the meaning behind this session that really is the “icing on the cake”. 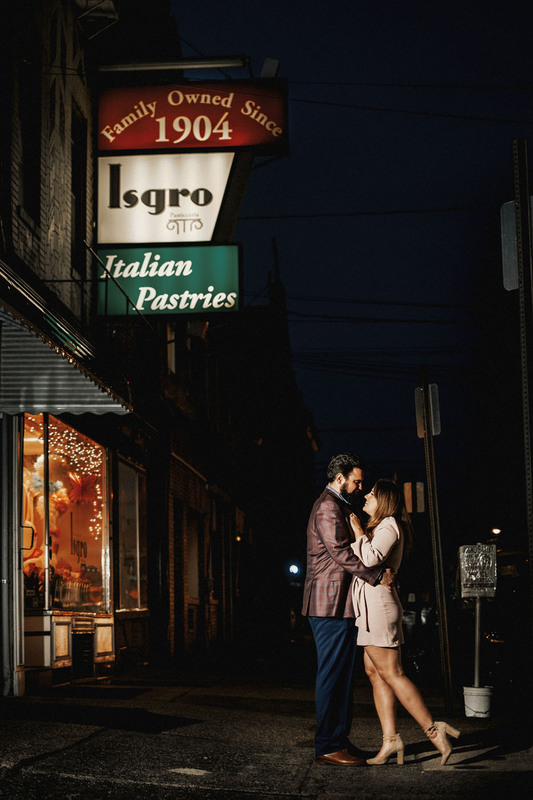 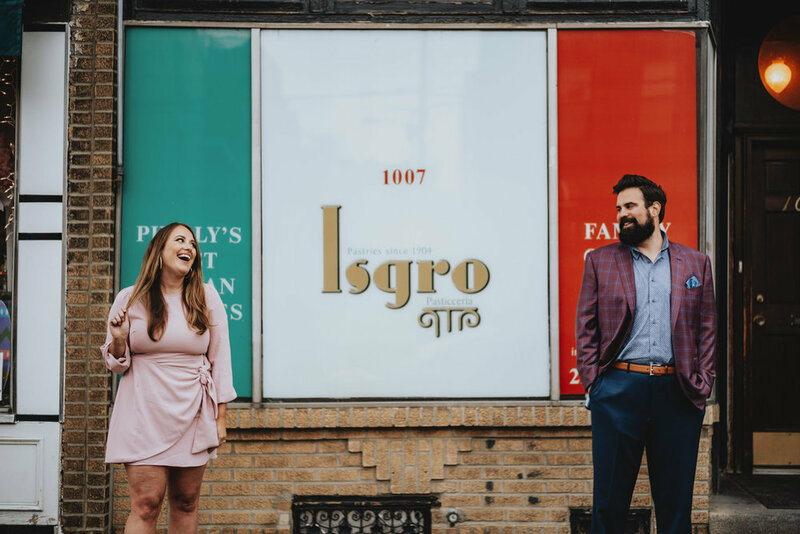 AJ owns an AMAZING family bakery called Isgro’s located right in the heart of the Italian Market, so obviously an engagement session centered around this delicious place was a given. 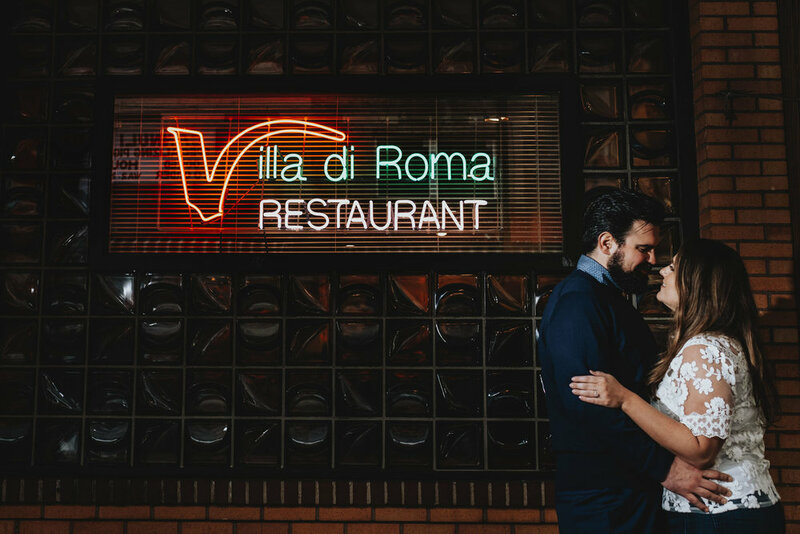 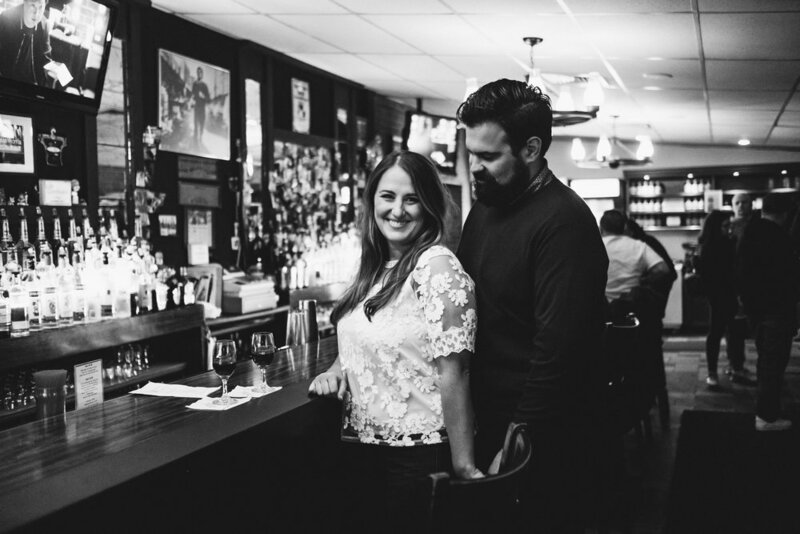 Alyssa and AJ love the city, and spend much of their time in the Italian Market and were even able to capture some really awesome images in their favorite bar. 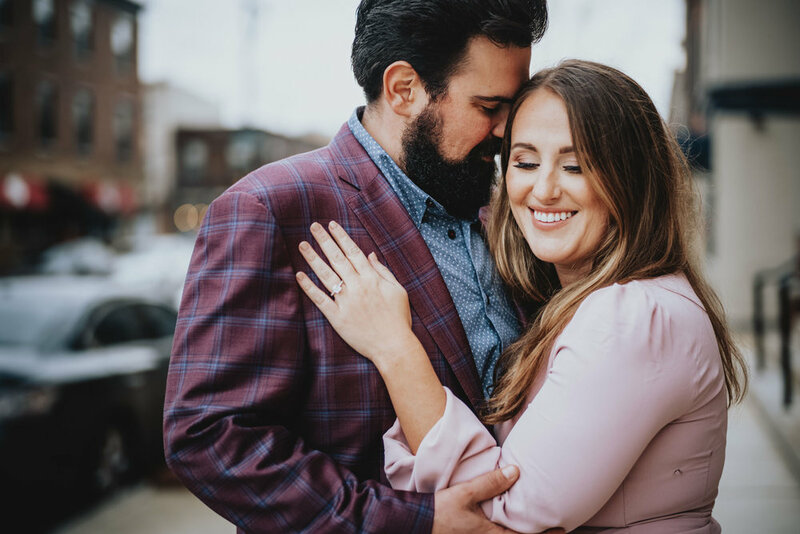 Eric expressed how excited he is to shoot this upcoming wedding, and we can’t help but wonder if the INCREDIBLY DELICIOUS cookies and cannoli’s Alyssa and AJ gifted him have anything to do with that. 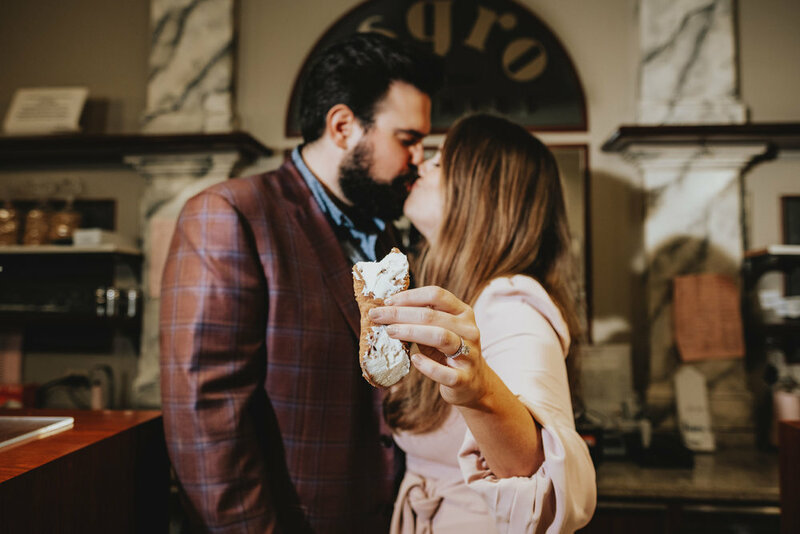 Exact words: “Best cannoli’s I have ever eaten, just wish my daughter Raisa would have shared at least ONE cookie with me.” Either way this is definitely a killer job on an extremely unique and personalized engagement session.